On Wednesday, September 25, 2019 Carrie Underwood will be performing in Oklahoma City. The performance will start at 7:00pm at the Chesapeake Energy Arena. Tickets are on sale if you would like to see Carrie Underwood live. They sell fast so get them while you still can. You can get your tickets at www.eventful.com . Attention parents and students. Next week Friday, September 28th, there will be no school for students due to parent-teacher conferences. Parents interested in meeting with their students teachers should email their teachers or setup a meeting time with the High school Front Office for Conferences with teachers. Appointments can allow you to have more insight into your child’s education and gives an opportunity for parents to ask any questions they may have. In September 18 to September 23, 2018, there will be a musical phenomenon, presented by Cameron Mackintosh. Where Cameron will present a new production with Alain Boublil and Claude-Michel Schonberg’s Tony Award winning musical phenomenon, Les Miserables, direct from one of its acclaimed Broadway return. 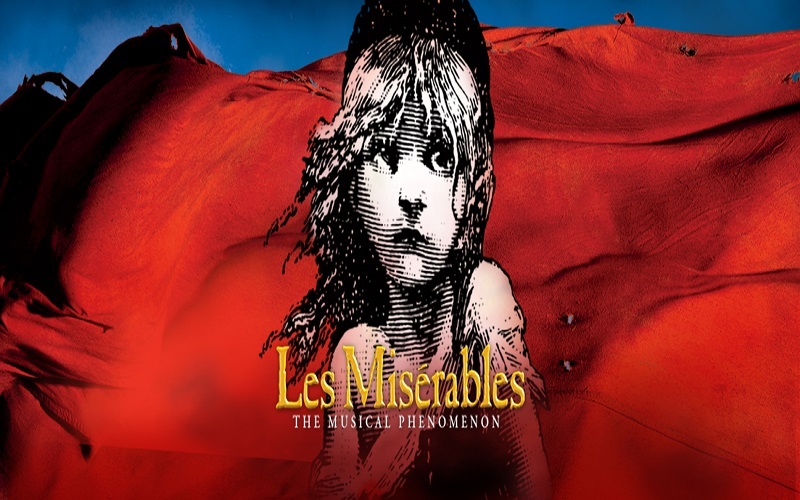 Where the Musical will feature songs like “I Dreamed A Dream”, “On My Own”, “Stars”, “Bring Him Home”, “One Day More”, and plenty of more, that will be there, this epic and uplifting story has became the most celebrated musicals in theatrical history. With an all new staging and re-imagined scenery, that was inspired by the paintings of Victor Hugo, this new breathtaking production has left audiences and critics awestruck. The location will be in Oklahoma City OK, at the Civic Center Music Hall – Thelma Gaylord Performing Arts Theatre 201 N. Walker Ave, the price is $38-$103, the run time is approx 2 1/2 hours, and the phone number for Season ticket subscribers is (405) 297-2264 or 877-737-2929. On Friday September 28, 2018 at Elmer Thomas Park in Lawton, OK there will be a International Festival. The festival will start at 5:00 pm on Friday September 28, 2018 and end Sunday September 30, 2018. Interactive and children’s area, food, sales and display vendors, two stages of live entertainment. For more information about this event call (580)-581-3470 or (580)-581-3471. The historic Patriot Club in Fort Sill will be hosting a free celebration of their 22nd annual Oktoberfest on September 28th, 2018 from 4 pm to midnight. You can purchase an authentic German meal and celebratory Fort Sill Oktoberfest beer stein at this festival. They will also have nonalcoholic drink options available for anyone under 21 years old and for those who don’t drink alcohol. So, grab a drink and witness the Commanding General’s Official Keg Tapping Ceremony before filling up on traditional German drinks and traditional German food. On Saturday, June 16, 2018 in Lawton, OK there will be a Juneteenth Festival. The Juneteenth Festival is celebrating the end of slavery. The celebrations go all the way back to June 19, 1865. There will be food, music, activities, games, and entertainment. This event is for all ages and is free. There will be an opening ceremony at 3:30 pm and will end around 8:00 pm. The opening ceremony will be at 102 NE Gore Boulevard in Lawton, OK and the entertainment will be at Douglass Park/Patterson Center #4 NE Arlington in Lawton, OK. If you have any questions or need more information call (580)-581-3485 after 11:00 am.